We were disheartened to find that courses at McGill upheld gender bias, and across all faculties, male authors largely overwhelmed female authors. Topic bias occurs when certain topics are disproportionately associated with specific genders. For example, we know that in book reviews female authors are more often associated with topics that are traditionally coded as feminine, such as love, family and relationships, while male authors are more likely to be reviewed when writing about science, politics, and economics. 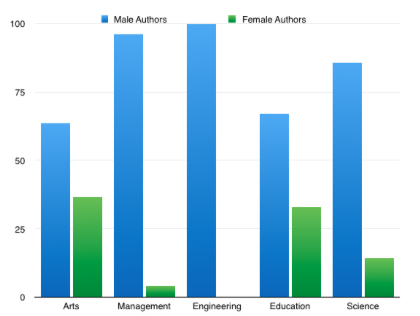 This is not to say that there are no female authors in these other more “public” fields, but that male authors have a much higher chance of being perceived as experts on these topics. Topic bias is important because it shapes public perception about who can be an expert in a given area. 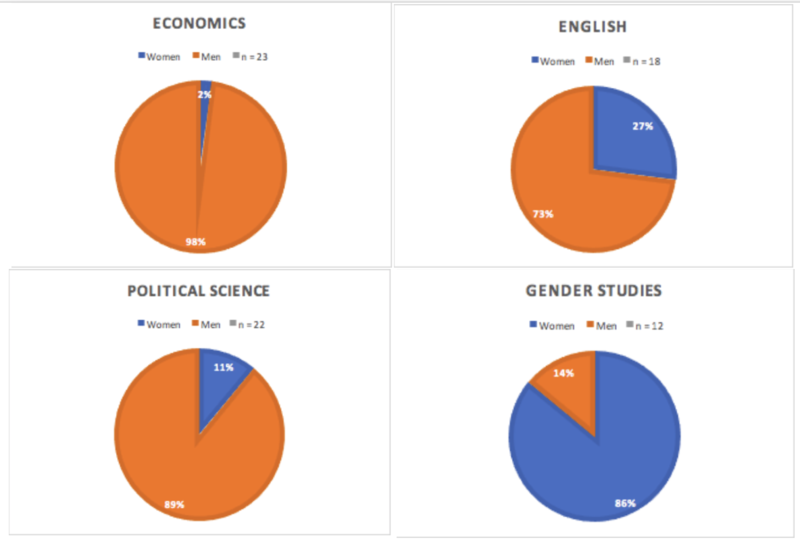 We decided to study topic bias at McGill by examining undergraduate syllabi from subjects in five faculties: arts, science, management, engineering, and education. We were interested in measuring topic bias at McGill to see the extent to which courses are coded through gender. 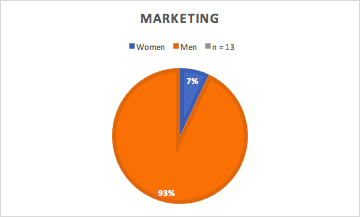 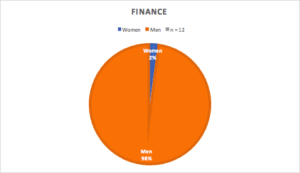 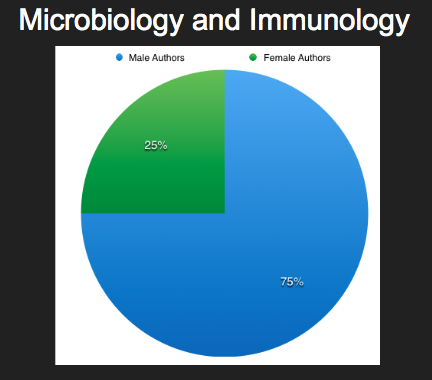 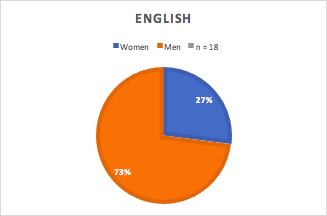 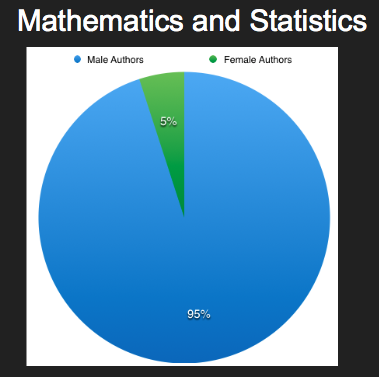 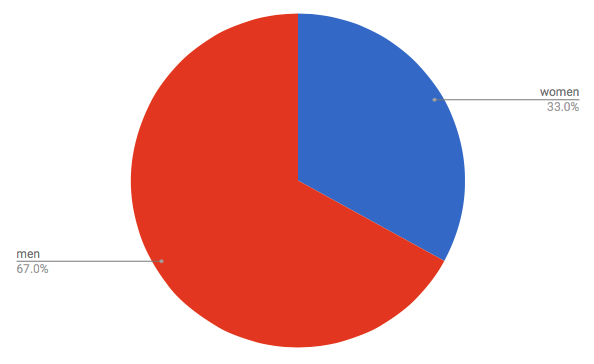 Selecting courses within the last three years, we calculated the ratio of male and female authors for each syllabus. 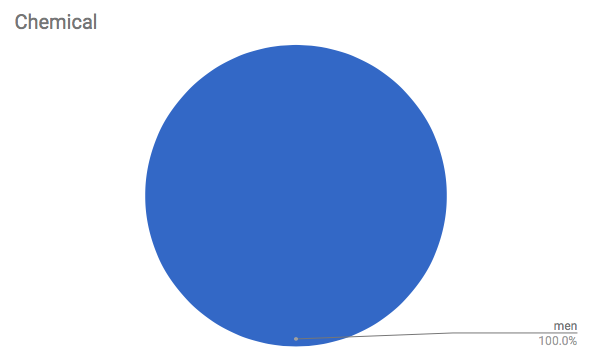 Below are some graphs that consolidate our findings. 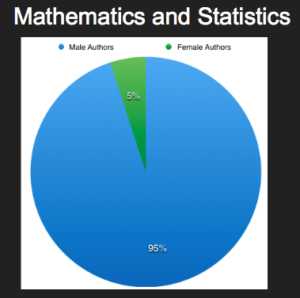 We were disheartened to find that courses at McGill upheld gender bias, and across all faculties, male authors largely overwhelmed female authors. Gender studies was the only subject dominated by female authors, suggesting that women are only perceived as majority experts on issues related specifically to women. 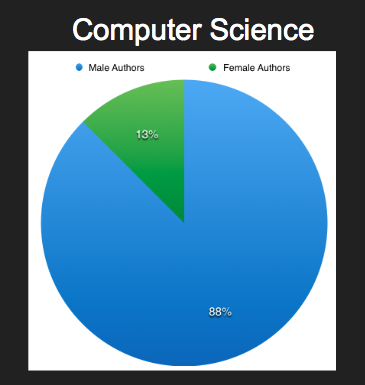 Furthermore, we were unable to find a single female author in any of the engineering syllabi we looked at. We were also surprised to see that the social sciences (economics, political science) were more male-dominated than certain fields in the sciences. 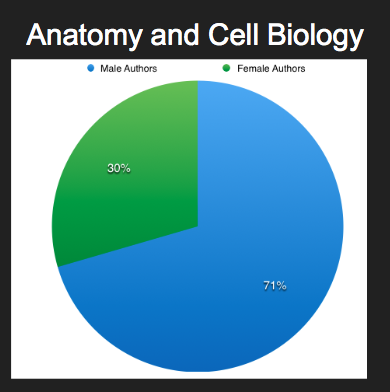 This is not to say that professors intentionally draw from certain authors when putting together syllabi for the year, but rather that the books and print materials that receive the most attention for certain fields are linked directly to the gender of authors. Take a look at the reading materials on your syllabi. Is there a gender skew? Do they uphold current gender norms elsewhere? 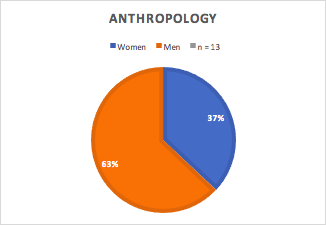 If you have a syllabus that contradicts our results and challenges topic bias, send it our way!